The structured inter-club competition fostered all summer was not totally selfless on the part of the Games organisers. Almost every competitor in the events brought along at least one spectator, often two or three. In addition a club requiring four runners in a team race, often brought at least one competitor who would not otherwise have been there. So a club with teams in the two miles and the relay had at least eight runners plus 20 or ore paying spectators. The club teams usually used seven or eight runners over the season – not all of the top four were always available – so more athletes were exposed to the hard fought, elbows-out-on-the-bends, competition which would help them considerably come the winter cross-country season. It was a win/win situation. Among the venues, the Clyde coast meetings were at the end of July and the start of August – Gourock, Bute and Cowal all on successive week ends. The Gourock meeting was on the last Saturday in July at the picturesque Battery Park, high on a hill outside the town. The views from the park at times were superb. A at any of these venues, the track was short with something like 5+ laps to the mile. It started outside the pavilion and the first bend was downhill into a short back straight with a wee climb up to the finishing straight which was also on a gentle up-slope. But the racing was hard. There were always good races there and in 1960 the top end of the team race featured Graham Everett of Shettleston Harriers, Steve Taylor of Aberdeen AAC and Eddie Sinclair of Springburn. Bunched at half distance, they were split when Everett set off on his fast finish: he won by 15 yards from Taylor with Sinclair a further five yards back. There was a tie for the team race but Shettleston was given the verdict over Springburn because their last runner was ahead of Springburn’s. The distance events generally were well supported at Gourock and in 1960 the Mile was won by McNeil of Shettleston from McLatchie of Muirkirk and Ballantyne of Edinburgh Southern; Ian Harris won the road race from Lyall of Edinburgh Southern with George King of Greenock Wellpark third. The relays at Gourock were a bit different in that they kept them for schools teams – one school pupil running often brought grans and grandads as well as parents and siblings along! In 1961 the two miles was won comfortably by Andy Brown of Motherwell YMCA and his club won the team race with 12 points. 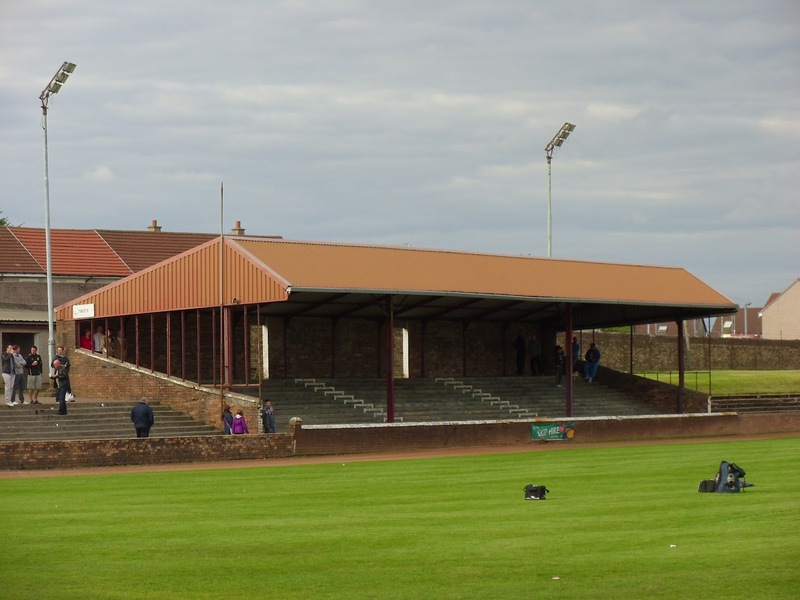 12 points is an interesting number – it can be made up of first, second and tenth, or it can be made up of first, fifth and sixth or indeed in many ways but not one of them indicates and easy win for the club against the best of Shettleston, Victoria Park or any of the other clubs taking part in these events. The 1962 Games were held in pouring rain – atrocious for the spectators but even worse for the runners. The team race was won by Motherwell again, this time with 11 points, and the first three places were filled by Andy Brown (9:54.4), Bert McKay (Motherwell), and George Brownlee (Edinburgh Southern). That year, in addition to the schools relays, the meeting included a medley relay which was won by Victoria Park, the report saying that the lead given to them by Hugh Barrow on the first (880 yards) stage gave them no problem in winning the race from Bellahouston Harriers and Clydesdale Harriers in 3:47.3. The road race was won by John Kerr of Airdrie from Ian Harris of Beith, with Peter McConnachie of Wellpark third. On 20th July, 1963, the sun shone and records were set in many events on a good, dry track. One of these was in the team race over two miles where Motherwell’s new boy, John Linaker, won from Andy Brown in 9:10.8 which took 0.4 sec from Graham Everett’s record of three years earlier. Brown’s time was 9:13.8 and Everett, who was also running that day, was timed at 9:23.4. Importantly though, the team race was won by Motherwell (with 7 points) for the third year in succession. The medley relay (880 + 220 + 220 + 440) was won by Ayr Seaforth (Davidson, McCrindle, McCarvel, Stewart) in 3:39.3. Victoria Park’s Hugh Barrow won the 880 yards won the junior half mile in 1:58.9 from a field of 15 runners, all of whom were give handicap marks ahead of him. The Victoria Park team probably suffered from his absence on the afternoon. On July 25th, 1964, Lachie Stewart (Vale of Leven) who had been the outstanding performer all summer on the longer track distances, won the two miles from Pat McAtier (Paisley Harriers) in 9:42.4. Shettleston Harriers won the team race. Bellahouston Harriers (MJ McLean, P Ritchie, R Rae and W Robertson) won the invitation medley relay from Glasgow University and Glenpark Harriers in 3:43.5. The track for the 1965 Games was sodden but nevertheless half a dozen records were set on the ground. One of these was by Vale of Leven’s Lachie Stewart who won the two miles in 9:03 – taking 7.8 seconds from the existing record and beating Andy Brown by 8.4 seconds. Motherwell YMCA won the team race with 10 points. Bellahouston again won the medley relay from Ayr Seaforth in 3:34.5 with a foursome slightly altered from the previous year – MJ McLean, W Robertson, P Ritchie and D Young to win the Auchmountain Trophy. This relay had been won in the past four years by Victoria Park, Ayr Seaforth and Bellahouston Harriers twice, with Glenpark Harriers, Clydesdale Harriers and Glasgow University all featuring in the first three. It was no easy race to win. In 1966 the two miles record was broken once again – this time by Ian McCafferty who won in 9:01.2 from a genuine past master in Ian Binnie of Victoria Park. A multi-record breaker in the 1950’s Binnie inspired Victoria Park to a team victory with 10 points. It was the third different club to win in as many years – Motrherwell the previous year and Shettleston the year before that. Ayr Seaforth beat Dumbarton AAC in the mile medley in 3:39.7. The road race was won by Alex Wight of Edinburgh University from Andy Brown in 1:12:33. Graeme Grant (Dumbarton – scratch) won the half mile Duncan Middletin (Springburn – 10 yards) in 1:54.1, Norman Morrison (Shettleston – 130 yards) beat Jim Johnstone (Monkland – 10 yards) in the Mile in 4:17.8. The field events featured Crawford Fairbroither (HJ) and Douglas Edmunds (throws). Gourock Highland is still pulling in the crowds – the date has changed: initially it went to the fourth Saturday in July and it has moved back in the calendar to May now -but it was always a favourite venue for the club against club battles and much was read into the victories. There were always two meetings in September that attracted the attention: on the first Saturday here was Shotts Highland Games in the heart of Lanarkshire where the welcome was warm, the prizes good, and the track poor. The back straight was definitely downhill, the home straight was definitely, indisputably, uphill. The track was of red blaes and in wet weather was heavy and clinging. White vests needed the aid of the best detergents to remove it. But it was a good meeting. The second Saturday in September was always Dunblane Highland Gathering. An altogether more douce kind of affair in a kind of natural amphitheatre with close cropped grass banks on three sides for spectators to sit and watch the events unfold. It was a grass track and at times the start of the bottom bend had some big holes made by the shot putters best efforts. Each had a 14 miles road race but Shotts had the team events that Dunblane lacked. Club competition was one of the things at Shotts. In 1962, individual and team honours in the two miles team race again went to Saltwell Harriers: Anderson (9:08.4) and Hillen finished one-two, with Bert McKay and Andy Brown (winner of the 14 miles road race the previous year) in three and four. The SAAA medley relay championship went to Victoria Park’s squad of Barrow, Turner, Johnstone and Ballantyne) who won in 3:34 from Ayr Seaforth and Bellahouston. According to the reprt in the Herald, McLatchie beat Barrow in the opening half mile eg ‘by a good margin’ , and Seaforth retained the lead until the last 440 yards leg when ‘A Ballantyne (Victoria Park) ran one of the best races of his career and beat the junior quarter mile champion, JC Stewart (Ayr Seaforth) .’ There was also a women’s medley relay which ended as a contest when Bellahouston’s Helen Cherry gave them a big lead over the half mile. Getting away from team races and club involvement temporarily, the Shotts 14 mile road race (featuring a couple of serious hill climbs) has something totally unique as a prize – it’s a silver groat. A groat was an old Scottish coin worth fourpence and it is not something that most Scots have seen. The race is usually well supported and the winner in 1962 was J Layburn of Jarrow in 1:14:34. Among the winners in the open events was Ian McCafferty running off 120 yards in the handicap mile, Neil Donnachie of Edinburgh in the half-mile off 16 yards and in the field events Howard Payne of Birchfield won the hammer with an allowance of 3′. On September 9th, 1963, it was a wet and windy day at Hannah Park and several invitees did not turn up but the club teams for the two miles race were there as usual renewing their rivalry. This time there were no raiders from across the border and the race was won by Ian McCafferty in 9:34.6 from Jim Johnstone (Monkland Harriers) and Tom Brown (St Modan’s). The team race was won, not by Motherwell as expected, but by Springburn Harriers whose team of Tom O’Reilly in fourth, Ian Young fifth and Moir Logie in seventh had 16 points. The medley relay was the feature race that day with the title going to Ayr Seaforth’s quartet of J Davidson, C Stewart, R McCrindle and R Billson in 3:38.0 from Bellahouston and Octavians. ‘Victoria Park were unable to field a satisfactory team as their leading half-milers were engaged elsewhere.’ Only five of the ten invited runners turned up for the invitation mile which was won by JR Wilson of Teviotdale Harriers from Fergus Murray. The road race again went to Layburn of Jarrow from Donald Macgregor and Charlie McAlinden. In 1965 it was Ian McCafferty’s turn to win the team race ‘in workmanlike fashion’ from team mate Bert McKay in 9:09.6 with Motherwell taking the team race. Lachie Stewart won the road race from Layburn by over two minutes in a new record time (1:11:20) but the race gaining all the attention was the other inter-club race – the invitation medley relay. The report read: “Glasgow University, holders of the Scottish Mile Medley Relay championship title, even with BW Scobie, WM Campbell, J McGeogh and AB Kennedy, found Bellahouston Harriers more than a match for them. MJ McLean, a junior, obviously instructed to have as big a lead as possible over the 880 yards first leg, never let up and Scobie found it impossible to get any nearer him than 20 yards. Thereafter the race was as good as won for H Robertson, W Robertson and H Baillie made the most of this advantage and won by 25 yards.” Dumbarton AAC was third and the winning time was 3:34.0. More records were set in 1966, again Ian McCafferty won the two miles, but this time it was no ‘workmanlike’ job – not when he was racing Fergus Murray. Murray dropped bck in the second mile and McCafferty’s winning time was 9:04.4 with a winning margin by the end of about 14 seconds. The run erased the time set by John Anderson from Saltwell Harriers from the books by four seconds. Motherwell (first, third and fourth) won the team race. McCafferty almost won the handicap mile from scratch – finishing second to Mike Bradley of Paisley who was off 100 yards. In the medley relay, Bellahouston Harriers won from Octavians with Edinburgh AC third. Their team of MJ McLean, J Williams, HJ Carmichael and W Robertson were timed at 3:32.1. Incidentally the 880 yards leg featured an excellent field including Graeme Grant, Adrian Weatherhead (Octavians), Stewart (Edinburgh AC) and Mike McLean with McLean comfortably beating the favourite, Grant. In the open handicap half mile, Hugh Barrow (18 yards) defeated MJ McCarthy (Gosforth – 34) in 1:53.4. “One Scottish title was settled – the senior mile medley relay, but in the most frustrating manner possible for former holders, Bellahouston Harriers. Victoria Park, having been second in the Amateur Athletic Association Championships earlier in the year, were favourites, even without P Hepburn, one of their 220 runners. An unconvincing first leg (880 yards) by WH Barrow left Victoria Park with only a slight lead , and as the last leg (440 yards) was about to begin they had at the most, a yard in hand over Bellahouston – enough we thought for H Baillie (Bellahouston) to catch RT Laurie . In a scrambled changeover, however, Baillie was knocked prostrate on the track by an incoming opponent, Laurie was gone, unaware of his rival’s bad luck, and he raced home a clear winner. The blame really rests with an association which can award the holding of a national event to a meeting whose track has no lane markings and is approximately 17 feet wide instead of 24.” The winning team was Barrow, A Wood, J Duguid and Laurie and finished in 3:06.8 with Edinburgh AC third. Shotts was undoubtedly a good meeting with excellent athletes and, coming as it did a month before the winter season’s pipe-opener in the 4 man McAndrew Relay, was supported by the cross-country fraternity as an early lead in to the season. Unfortunately in Scotland at the start of September, it seemed in retrospect, to have its share of rain!